Go back and watch the fight scene in the Temple between the Celtic Predator and the Grid Alien. As I watched this scene I realized that even after 12 years it's an interesting fight with a surprising winner. The NECA versions of this battle put you right in the middle of this epic fight scene. From the Celtic's helmet getting scratched to the net being shot at the Alien before he pounces on the Predator. It all comes together in this sharp Toys R Us exclusive 2-pack that will be hitting shelves around November. The Grid Aliens dome is translucent and provides a different look from the earlier released version which had the full tail. The packaging is the classic 2-pack clam shell and provides some nice action shots of the figures. On the back of the packaging it provides a nice lineup shot of all the latest AVP figures by NECA. It's really cool to see the AVP line being added to the classic Aliens and Predator 2-Packs NECA has done over the years. The new AVP body styles for the Predator and the Alien are done really well and continue to impress me. The Grid Alien has some very nice variations from the earlier released Grid Alien. The 2-Pack version provides the highly requested severed tail and a translucent dome which gives it some added detail to the figure. I like both versions of the Grid Alien, but the 2-Pack version is what I consider the "Ultimate" Grid Alien. The Celtic Predator is a stripped down version of the original released with the updated battle damaged mask. He also comes with battle damaged wrist blades, a throwing weapon, knife and net. If you are thinking I already have both of these figures...you don't. This 2-Pack provides you with a lot more. Originally I was interested to see how NECA would create this 2-pack with the versions that were already released. After playing and working with the figures I really like the variations from my other version and might even prefer these over them. NECA continues to provide interesting takes on relevant and popular things we all love, and this AVP 2-Pack is a really cool set. 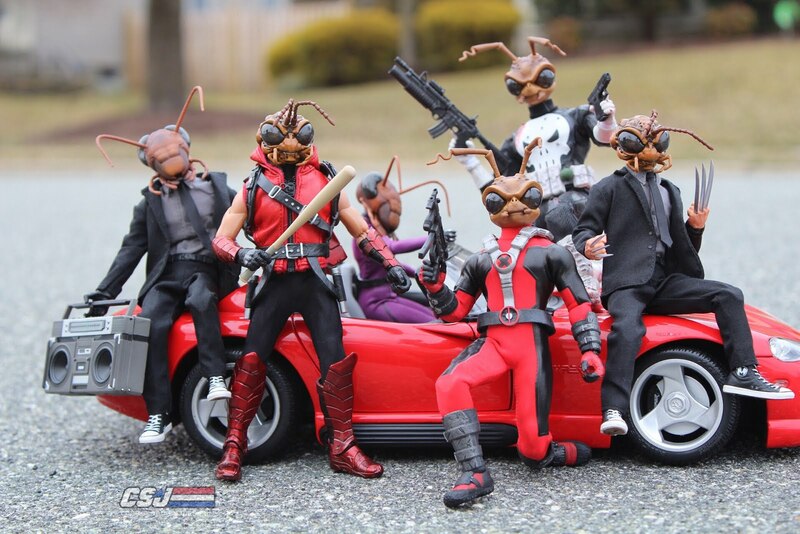 Visit Fresh Figures for all your NECA and toy needs!